There have been many studies suggesting health risks associated with shift work. 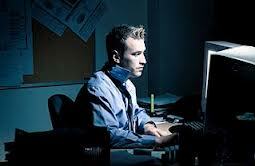 Night shift workers are more at risk of having a heart attack or stroke than day workers, research suggests. According to Frank Scheer PhD, a neuroscientist at Harvard Medical School and Brigham and Women’s Hospital in Boston, people who do night shift work tend to have sleep disturbances and sleep loss. They might feel isolated, since their jobs cut them off from their friends and families. They might find it harder to exercise regularly, and may be prone to eat junk food out of a handy vending machine. Working against a person’s natural sleep cycle causes sleep disorders and fatigue. Fatigue, in turn, worsens moods, decreases cognitive abilities and reflexes, and makes people more vulnerable to health problems, says researchers. Dr. Peter Coleman, Stroke Association’s Deputy Director of Research said ‘It’s a well known fact that working irregular hours can be bad for our health. It disrupts the body clock and is often associated with an increased risk of high blood pressure, high cholesterol and diabetes, all of which are risk factors for stroke. On a fundamental level, being awake at odd or irregular hours fights with our biological rhythms. Shift work disrupts the circadian rhythm, our internal body clock that is keyed to natural daylight and darkness. Working at night runs counter to the body’s natural circadian rhythm, says Charmane Eastman, PhD, a physiological psychologist at Rush University in Chicago. The circadian rhythm affects how the body functions, including our cardiovascular system, metabolism, digestion, immune system, and hormonal balance. That appears to have serious consequences to our health. Dan Hackam, associate professor at Western University, London, Ontario in Canada said: ‘Shift workers should be educated about cardiovascular symptoms in an effort to forestall or avert the earliest clinical manifestations of disease’. Experts say that shift work could have a serious impact on our health in at least two ways. Some of it may have to do with the lifestyle that shift work encourages. The rest has to do with our biology. Although the study shows the actual implications in working night shift, it’s also important for all shift workers to pay close attention to their health and ensure they get the right amount of sleep, exercise, and eat a balanced diet.